Cosmetic dentistry helps patients improve the appearance of their smile. 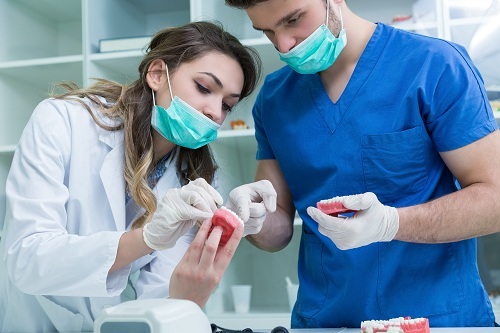 In addition to enhancing aesthetics, cosmetic dentistry can improve a patient’s oral health by simultaneously addressing serious dental conditions. Some of these issues may include missing, damaged, decayed, or stained teeth. 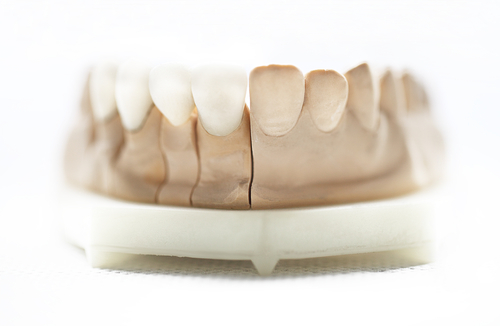 Veneers — A layer of material is placed directly on the front of your teeth to correct their colour and shape. Veneers also fill gaps, correct chipped or worn teeth, and cover teeth that are permanently stained. Additionally, veneers can serve as an alternative to orthodontic treatment like braces, The two main types of material used to fabricate veneers are composite and porcelain. 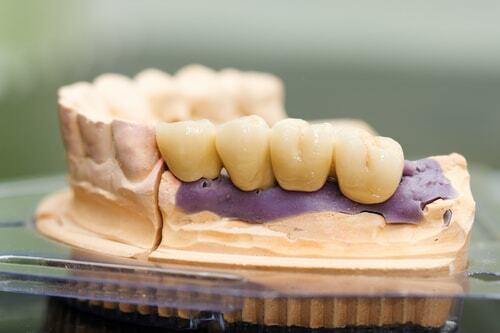 Crowns — If your tooth is damaged but not lost, a crown can be used to restore its shape, appearance and function. You may need a crown if you have a root canal, a large filling a tooth or a broken tooth. A crown, also called a cap, is a hollow, artificial tooth used to cover a damaged or decayed tooth. Dental bridges — When a person loses their teeth, the gaps can affect speaking and eating. In serious cases, missing teeth can lead to bone loss and shifting teeth, altering the structure of their face. Dental bridges address this by filling the gaps with false teeth and keeping the remaining natural teeth in place. Dental implants — Similar to a bridge, a dental implant fills the gaps left by missing teeth. Implants are surgically inserted in the jawbone, allowing the bone to grow around the implant, providing support and making it like a natural tooth. Teeth whitening — When we regularly consume certain foods, beverages, or medications, they can stain our teeth. Whitening procedures are usually offered following a thorough, professional cleaning in the dentist’s office. Cosmetic dentistry can restore your smile, make speaking and chewing easier, and address issues that could cause serious dental conditions later. If you have a cavity, other signs of decay, or pain and discomfort in your gums, see a dentist right away. 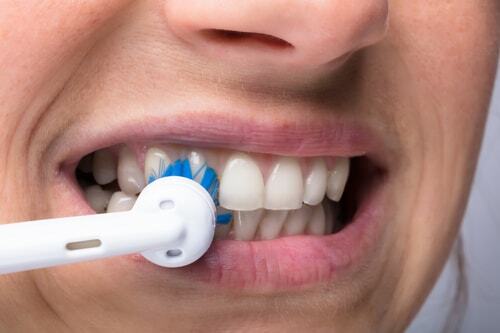 Oral health problems can lead to more serious physical illness elsewhere in the body. Dr. Mark Rhody Dentistry offers a variety of dental services in Toronto, including dental restoration, cosmetic dentistry, and dental implants. Allow us to improve your smile and oral health in a comfortable, friendly environment. Call us today at (416) 231-4281) to book an appointment.